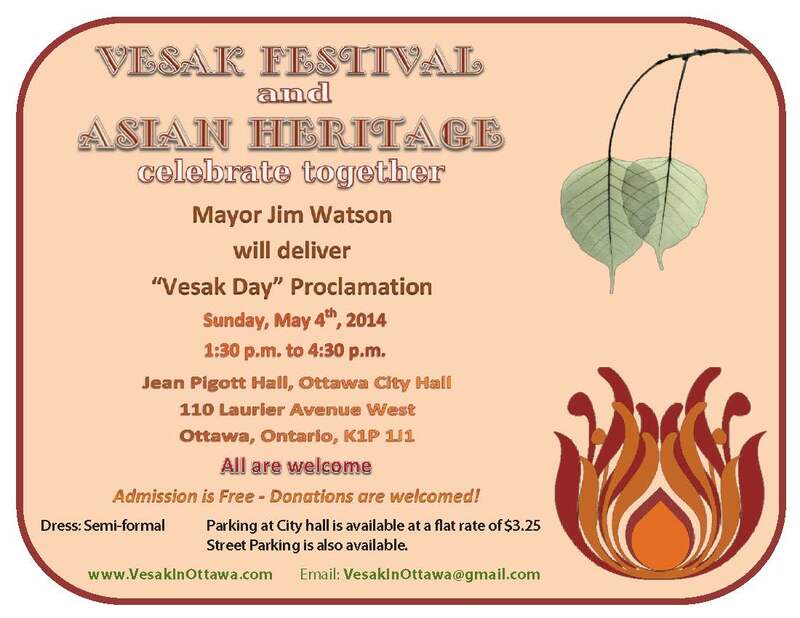 The 2014 Vesak Festival to be held in Ottawa City Hall on Sunday May 4, 2014 had the good fortune to receive guidance from three spiritual advisors – Master Bon Dat, Bhante Rath Sam and Dharmacharya Ian Prattis. 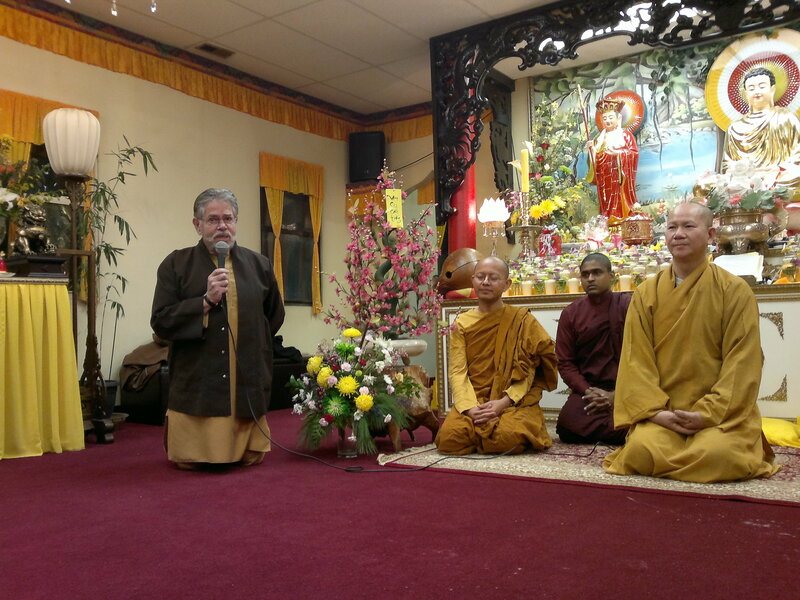 They each come from different Buddhist traditions in Ottawa and three different countries – Vietnam, Cambodia, Canada. 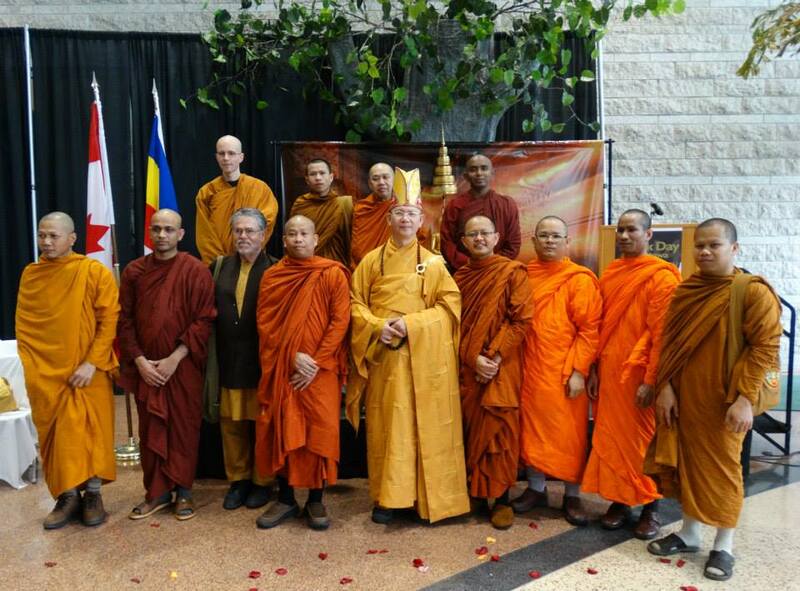 They established a common cause to spread the seeds of Buddha Mind across Ottawa for the Vesak Festival in City Hall on May 4, by creating an atmosphere of generosity, humility and kindness. The planning of the program, participants and networking all went very smoothly. Organization meetings were held in the various temples and mindfulness centres in the city. Support for these efforts of multi-culturalism and interbeing came from all levels of government in Canada. The Governor General, Prime Minister, Premier of Ontario and Mayor of Ottawa fully endorsed this initiative, which is new to Ottawa and indeed new to Canada. 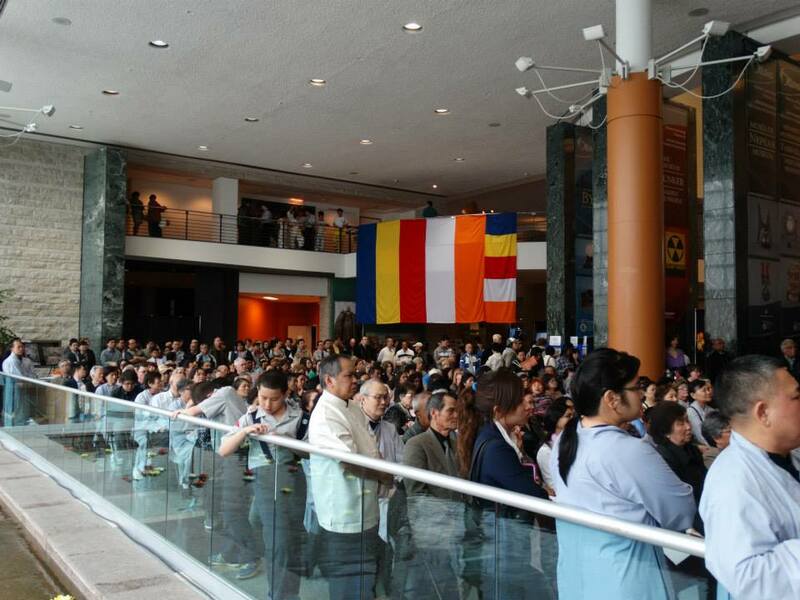 Other Buddhist communities in the City of Ottawa also came out in support. The three advisors ushered in a consensus that donations taken in on Vesak Day would support the education of young boys and girls in Cambodia. Education was seen as a vital antidote to the trafficking of children in that country. It was recognized by the three advisors that future events would focus on different causes. The manner of patience, goodwill and sage counsel from the three advisors provided the glue of integration for an exciting adventure to unfold in Ottawa for the Celebrating Vesak Day.